Both City-zen cities Amsterdam and Grenoble working on their Energy Transition Roadmap. We may call it a coincidence: both approximately 500 km away from the real Paris. The roadmap is for these cities the route to the Paris Agreement. After years of in-depth research, the time has come to start the movement in real time. 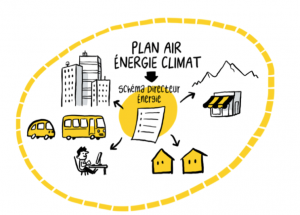 In this article an update from Amsterdam and Grenoble by Andy van den Dobbelsteen (Professor of Climate Design & Sustainability at TU Delft) and Sylvain Koch-Mathian (Project manager – ‎Grenoble-Alpes Métropole). What are the differences between the Grenoble Roadmap and the Amsterdam Roadmap approach? What are the most important learning’s so far? What can other cities learn from your experiences so far? What has the greatest potential in the city of Amsterdam and Grenoble? What does Grenoble admire in the approach of Amsterdam and vice versa? What are the goals for upcoming year? 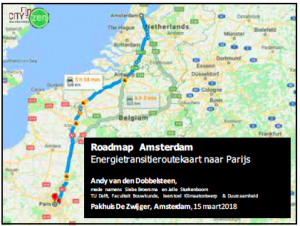 9th of March 2018: Professor Climate Design & Sustainability Andy van den Dobbelsteen and Project Manager at Energy Exchange Enablers (part of Alliander) Ilse Wissink are invited for an interview with Roelof Hemmen at BNR Newsradio (all-news radio station in The Netherlands) about Roadmap Amsterdam and The Virtual Power Plant. Interview starts at 19 m. 30 s. (interview is in Dutch). 15th of March 2018 the City-zen Roadmap broadcasted at NOS news (20 m. 50 s.) and NOS news article (item is in Dutch).